For those not already put off by American Idol's in-your-face homosexual agenda, this article might be the clincher. As noted in the article cited above, American Idol's two "Give Back" campaigns this year are Save The Children and the United Nations Foundation, both of which channel funds to pro-abortion groups (makes the "Save The Children" moniker seem a bit ironic, doesn't it?). 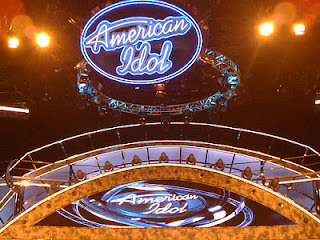 American Idol also recently lent its support to a campaign to raise funds for Planning Parenthood in Los Angeles, CA. Eu·gen·ics (yū-jĕn'ĭks) - n. (used with a sing. verb) The study of hereditary improvement of the human race by controlled selective breeding. "I'm A Modernist At 33,000 Feet"